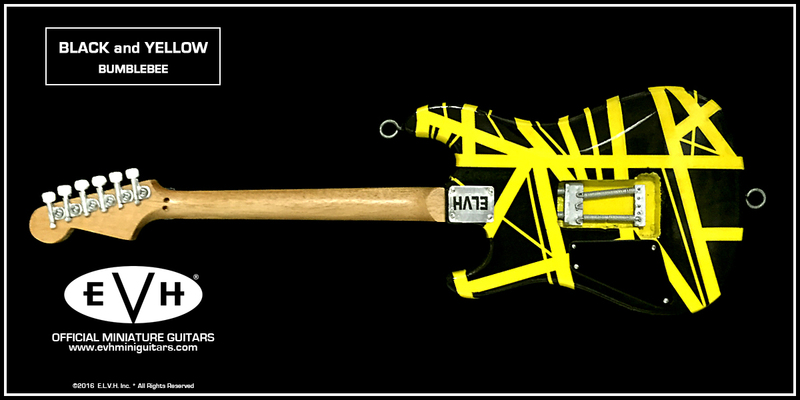 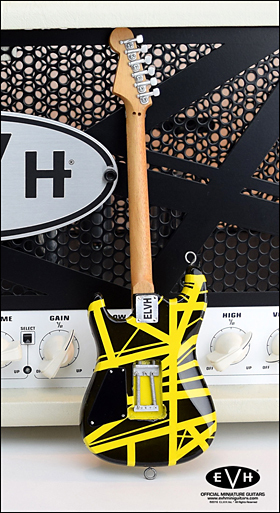 Black and Yellow - aka: VH2 or "Bumblebee"
* As a consummate tinkerer, and a big believer in functionality, Ed came up with this first rear loaded single hum strat design. 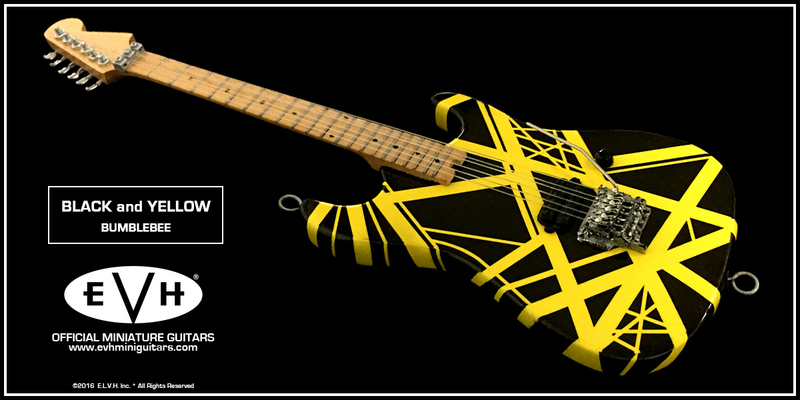 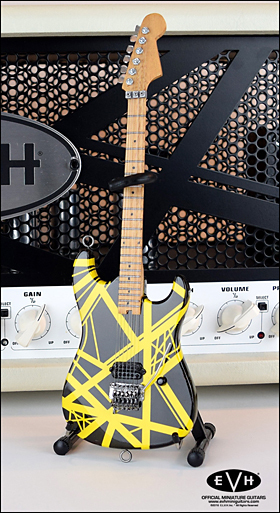 * Ash body by Boogie Bodies / Charvel Black with yellow striping pattern closely based off of the original black and white design. * Originally had a 2 pc flamey birdseye maple neck that was painted all gloss black except for the fingerboard and gold Charvel logo on headstock. (long after it was removed from this guitar, that paint was sanded off of the back of the neck and it ended up on the dragon snake guitar). 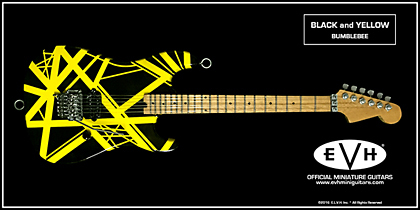 * The only striped guitar from the early days that was a pro gloss clear coated paint job and not a rattle can. 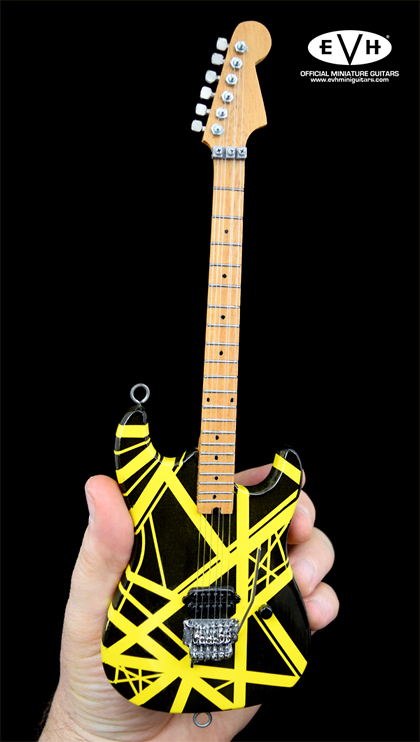 * Had various pickups in it over the years including the original clear bobbin Mighty Mite pickup used for the photo shoot. * Had several different necks on it over the years - mostly Boogie Bodies but also a Kramer Strat head neck with black electrical tape on the headstock in its last iteration. * Rear rout had no cover plate or even a recess area to accommodate a plate. (was just a top loaded strat rout cavity moved to the back). 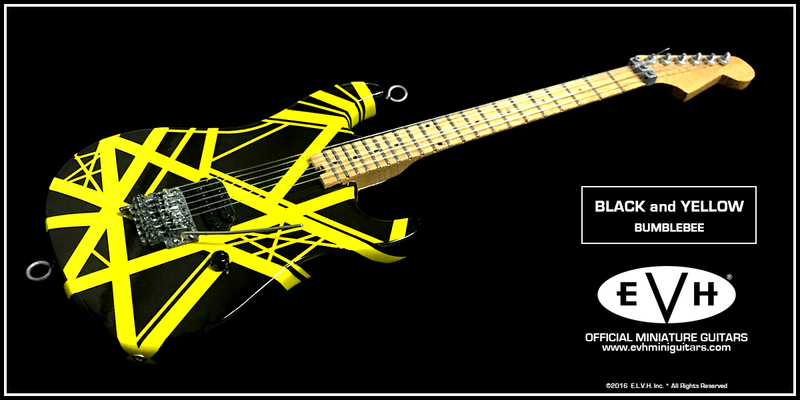 * Made for Ed by Charvel and Karl Sandoval (who worked at Charvel at the time). 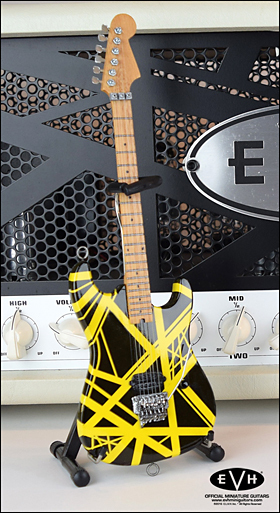 * Ed took the original guitar to the funeral of Dimebag Darrell and laid him to rest with it at his burial.